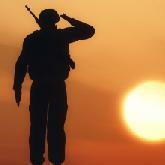 Does Your Talent Acquisition Strategy Include Jobs For Veterans? As Memorial Day approaches, we remember the brave people who died while serving in our country’s armed forces. During this time, companies may do well to reflect on whether they are attracting and retaining the heroic people who served our country and are reentering civilian life, our veterans. Is your company focused on providing jobs for veterans? This article details challenges veterans face when searching for a job, the importance of hiring veterans, and outlines recruitment strategies to help employers attract and retain veterans. Although the unemployment rate for post-9/11 veterans has declined, iCIMS Veteran Hiring Report reveals how veterans continue to struggle building their careers in the civilian workforce. iCIMS found that veterans are having trouble finding right-fit opportunities. For instance, the majority of veterans surveyed decided not to apply for or accept a job after leaving the military due to disappointment with the salary or benefits offered. In addition to struggles with salary and benefits offered, many veterans surveyed believe it would take them longer to find a job than a non-veteran with the same level of work experience. They expressed a perceived bias and skills gap, citing that they believe hiring managers do not understand the benefit of their military experience. Susan Vitale, iCIMS Chief Marketing Officer, tells Recruiter.com, “Looking at the results from our survey, it is evident that there is a big disconnect and lack of understanding between veterans and employers.” Further, for those veterans who do accept a job in a civilian workplace, several experience a career slump, believing they have fewer advancement opportunities than expected. As a result, the majority of the employed post-9/11 veterans surveyed are not completely satisfied with their current job. Accordingly, veterans spend on average 10 hours a week looking for a new job. The National Association of Colleges and Employers (NACE) found that leadership, strong work ethic, problem-solving skills, and the ability to work on a team are the top skills employers look for on a candidate’s resume. These results match up with the skills post-9/11 veterans surveyed believe they have. Leadership, especially, is a skill that comes naturally for many veterans, and companies can undoubtedly benefit from this. Vitale explains to Forbes, “They [veterans] are learning really important skills that are transferable, that oftentimes are the highest on the list of hiring managers; things like leadership and problem-solving skills and the ability to think on your feet, to work together and collaborate.” Vitale further details that experience gained in the military, though not a direct equivalent, may supply the skills employers feel a college education is necessary to attain. Along with benefiting from the skills veterans can contribute to your company, employers hiring veterans may qualify for incentives and tax credits from the government. Work Opportunity Tax Credit (WOTC) may be earned by employers who hire veterans who have consistently had trouble gaining employment. The tax benefits range from $1,200 to $9,600. In November 2011, the VOW to Hire Heroes Act was signed, passing two new veteran tax credits: the Returning Heroes Tax Credit and the Wounded Warrior Tax Credit, which were recently extended through 2019. In many states, there are further state-level tax incentives for hiring veterans. Your company should use multiple networks to discover which sources are most effective in attracting veterans. For example, open positions are easier to find when advertising where veterans tend to look. According to those surveyed, government websites and veteran job boards are the best bet. Dedicated talent acquisition technology helps you more effectively build candidate pipelines and test candidate outreach channels. Additionally, employee referrals should be encouraged at your company. Employers often consider referrals very effective because they attract talent that effortlessly fits the company’s culture. Utilizing employee networks can help your company increase its ability to compete for veteran talent. Building your employment brand in the military community will market your company as an employer of choice for veterans. You can create veteran-facing recruitment marketing email campaigns through an automated recruitment marketing tool. For instance, in your email communications, you can address why your company is interested in recruiting veterans and detail how a military background correlates with your open positions. This Memorial Day we can pay respect to our fallen heroes by both acknowledging and addressing the unfortunate facts surrounding veteran hiring. Ensuring that jobs for veterans are part of your company’s talent acquisition strategy is essential given the barriers veterans face in attaining appropriate jobs despite the valued skills they possess. Employers will have to put time into attracting and retaining veterans by engaging in a hiring strategy that differs from the approach used for civilian candidates. Putting effort into such a strategy will attract a diverse and skilled set of veteran applicants to your workforce and benefit your company overall.